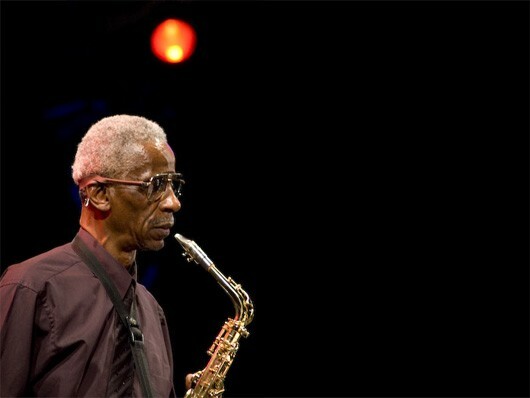 Mills College intends to lay off seminal composer and improviser Roscoe Mitchell, due to the school's budget crisis — and the international music community is incensed. “Wrongheaded,” “reckless,” and a “grave mistake” — hundreds have savaged the administration in open-letters since Chris Brown, co-director of the Center for Contemporary Music at Mills, encouraged people to protest Mitchell’s planned termination in a social-media post on June 7. More than 300 people — including The New Yorker critic Alex Ross and composer Matana Roberts, plus a fleet of pupils and prominent artists — signed and appended personal notes to a letter, dated June 12, that urges the school to reconsider dismissing Mitchell. Provost and Dean of Faculty Chinyere Oparah told the Express that the music department, despite its international stature, struggles with overhead versus revenue, and that Mitchell’s position, the highly pedigreed Darius Milhaud Professorship (earlier held by artists including Pauline Oliveros and Lou Harrison), is endowed at only a third of its cost. Mills President Elizabeth Hillman, in office for less than a year, agreed in an interview that philanthropic support could supplement the Milhaud position, adding that, this month, the school announced a new endowed faculty chair in photography. “But it’s hard to fund-raise out of a crisis,” Hillman said. Oparah and Hillman stressed that the layoffs are, for now, only under consideration; the board of trustees meets for final decisions on June 26. They also emphasized that it’s all part of a plan for financial stabilization, intended to ensure future growth. But critics worry that the extent of the changes to music programs — Mitchell, Payne, and Brown are three of eight department faculty — will have lasting consequences, especially stunting enrollment even further going forward. A co-founder of the Art Ensemble of Chicago and the Association for the Advancement of Creative Musicians, Mitchell was hired by Mills in 2007 and instructs more than 100 students in composition, orchestration, and improvisation each year. Students underline his valuable mentorship, plus the effortless cool that makes him something of a department icon. Critics note that Mitchell is the music department’s only Black instructor. And they emphasize that the 76-year-old artist embodies the maverick spirit of the Center for Contemporary Music, a small department with an outsized impact on experimental music for decades. To that, we add that many of Mitchell’s current and former students — for instance, Sharmi Basu and Chuck Johnson — perennially participate in and enliven local music, so ousting him will likely mar the school’s reputation beyond academia. “Backbeat” is Sam Lefebvre’s new weekly music column.